Feminism is a prominent topic in the Western world. One that can evoke a polarising set of emotions for women and men alike. From hate to love, oppression to liberation, misunderstanding to understanding, apathy to empathy, one thing is for certain—it’s a subject of great debate. 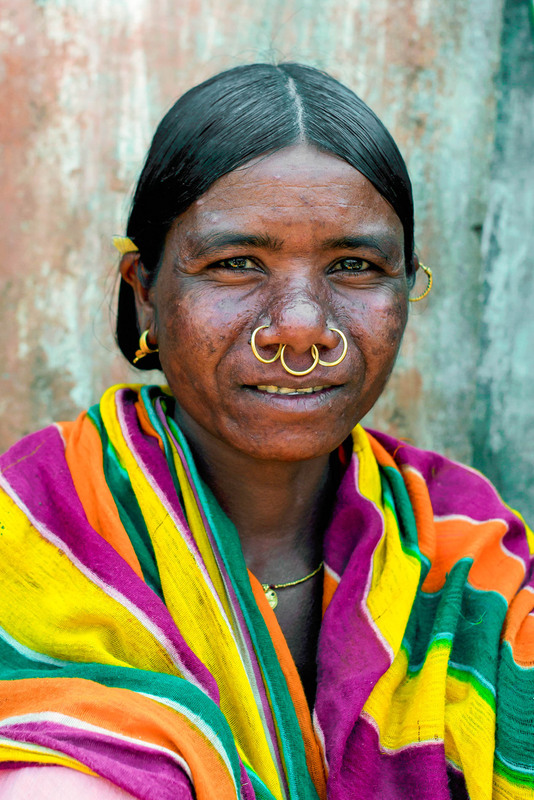 However, this isn’t the case for the tribes of Koraput, a region on the eastern coast of India. In a place where the women and men believe that they are already playing an equal part in society, the Western concept of “feminism”, that is, the belief in the social, political, and economic equality of the sexes, may not be the most accurate construct to apply. Perhaps then, to understand feminism through a wider lens, we have to look at it contextually and consider whether the ideas that form its definition are connected with the cultural setting in which we view the construct. Once this is taken into account, we can then begin to develop a more inclusive world view on the subject, one that offers a kaleidoscopic perspective, rather than a monolithic one. "The hill people here are considered marginalized and backward. They are primitive in their outlook and way of life. 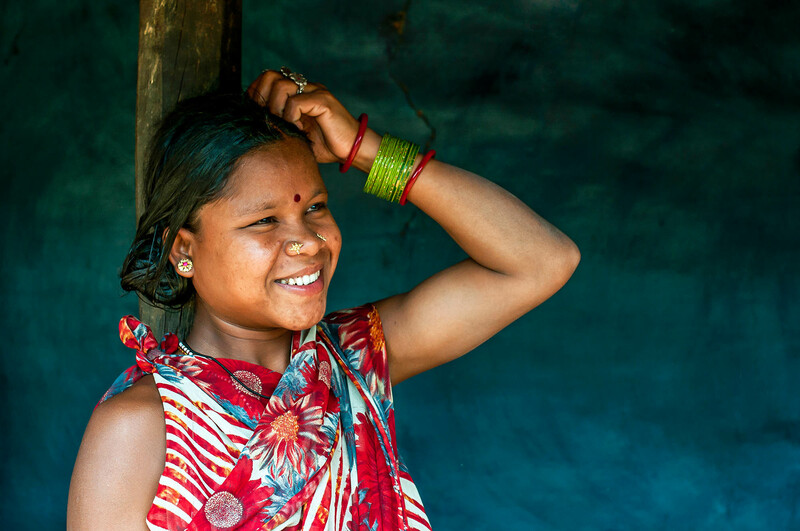 Majority of them lack formal education and their economy is forest oriented. They are below the subsistence level. Modernity or modernization has little effect on them; it has not penetrated their unique lifestyle, though some changes are noticed at present. Interestingly, however, on one account, it is found to be ahead of modern society as it exhibits a kind of relative equality between sexes. Nobody has fought for this; no activist has ever launched a movement for this. It may not be a consciously drawn tradition but a fact that despite the existence of a system of division of labour and a system of stratification, oppression of women does not take place by the so-called stronger male members. Therefore researching the status and social role of tribal women in their community vis-à-vis feminist theories is an interesting area of enquiry." Given then, that the women of these tribes do not view themselves as being treated unequally or in need of 'saving', means that applying a singular mindset can result in us going down a road full of 'Third World Women' clichés, where perspectives are colonised rather than accommodated. In the following photo-essay, we take a closer look at three of the 62 tribes found in the region and reflect on the lessons they can teach us about being better humans and living in harmony with one another and nature. The Parajas have a primitive economic system without any complex division of labour. Men perform the heavier and more hazardous work such as ploughing and felling of trees, while women tend to do work that involves less physical strain but is more regular, such as collecting fire wood, harvesting and cooking. 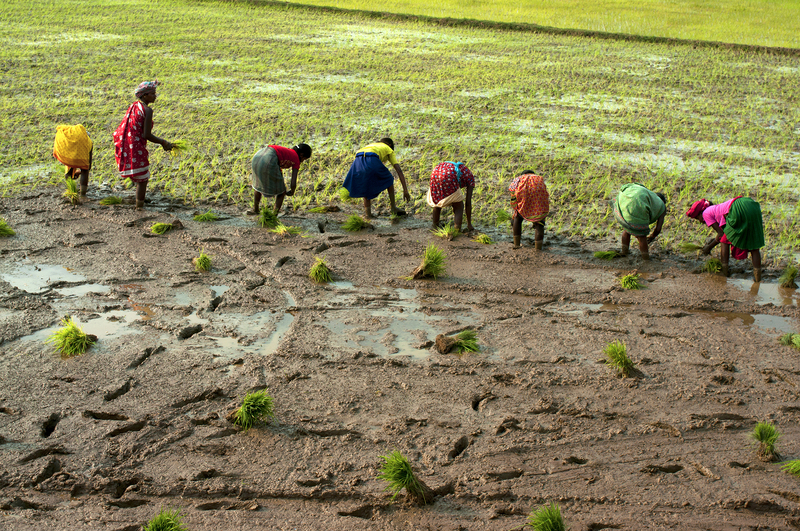 Women from the Paraja tribe transplant rice seedlings onto a paddy field. They work hard to provide food for their communities and are viewed as an economic asset. 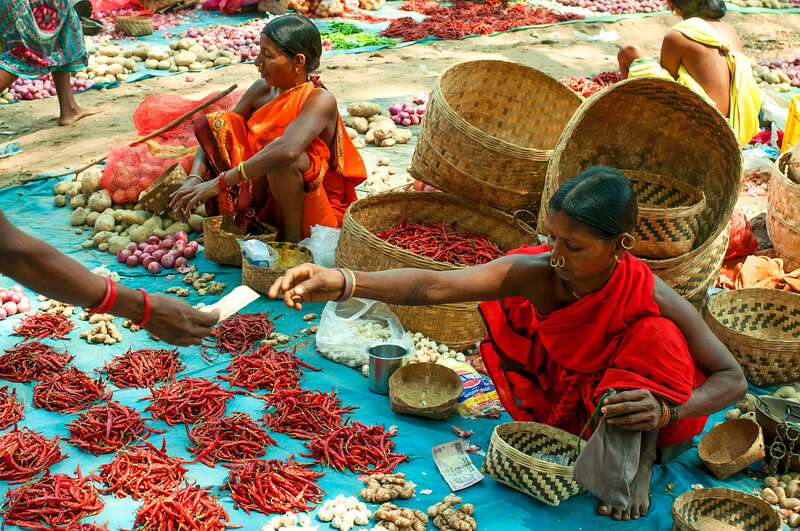 Women from the Mali tribe sell chillies at the market. Women here aren't confined to the kitchen and are often the bread winners for the family. 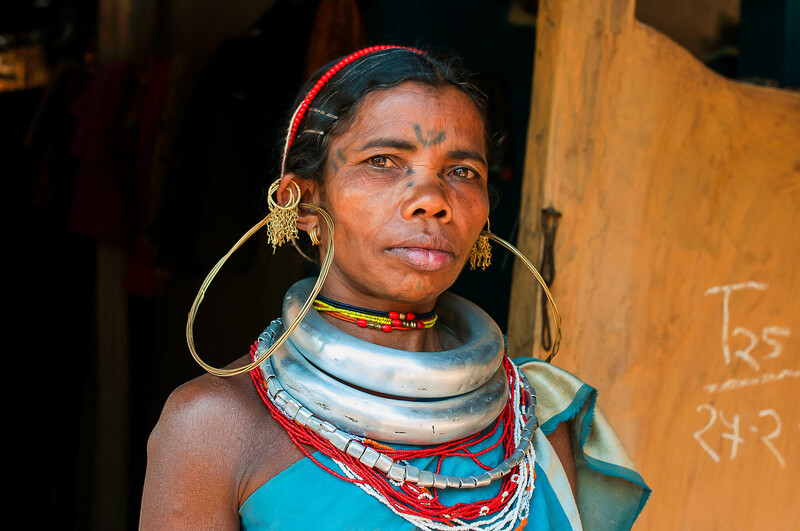 The Bonda are the most primitive tribe to be found in the Koraput region. They refuse to be culturally assimilated and their aggressive nature has helped them preserve their rich traditions. Bonda women are known to be warrior-like, often fighting government authorities with bow and arrow to conserve their forests and livelihood. In Bonda society, women are highly respected and valued. They make all family-related decisions since they are usually older than their husbands: women marry men at least 15 years younger than them. This, combined with their ample contribution to their economy and community means that they enjoy a life of equal opportunity. The Gadaba are a primitive tribe classified as Mundari or Kolarian on linguistic grounds. They are dependent on agriculture like most of the tribes in the region. The Gadaba women are distinguished by their thick aluminum necklaces and uniquely tattooed faces. They are incredibly hardworking and juggle both household and agricultural duties. 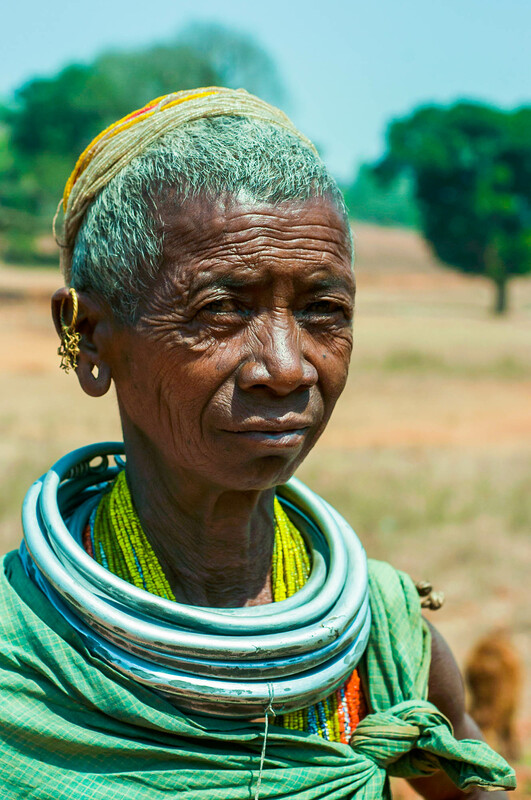 The women of The Gadaba tribe work such long hours that their children are often reared by elders within the community.